Today is the day, if you haven’t already, to discover the simplicity of scrapbooking in pockets! That’s right. Scrapbooking CAN be fast, simple, and easy. 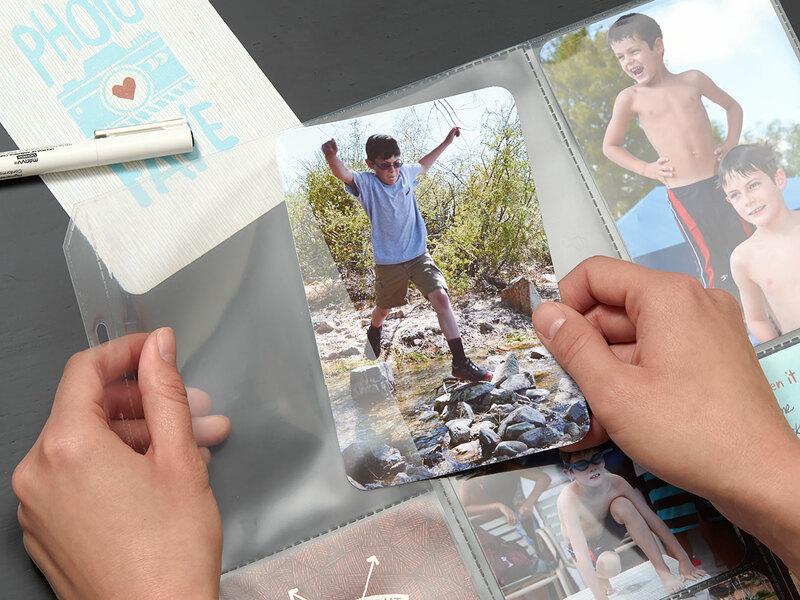 By using Memory Protectors™ with multiple pockets, you can quickly catch up on your scrapbooking or just add photos, art, journaling, and other keepsakes in this trendy blocked style to any of your albums. But where do we start? Too often, we get so eager to try out a new memory keeping approach only to end up staring at the Memory Protectors™ and their empty pockets, not quite sure how to begin. Or, on the other end of the spectrum, we start without a plan and find that something about our completed pages just isn’t quite right. If you take a look below, you’ll see that we came up with different ideas to get you thinking about how to create a pocket page or layout, and to get you up to speed on this popular style of scrapbooking! 1. Start with a set of photos. We all have stashes of photos, mainly on our electronic devices. Print out some of your favorites and give this approach a try. Once you’ve got your photos, choose a color scheme by pulling from the colors in your photos first and then, if you’d like, add one or two colors that coordinate. Lastly, choose accessories or embellishments for the finishing touches. 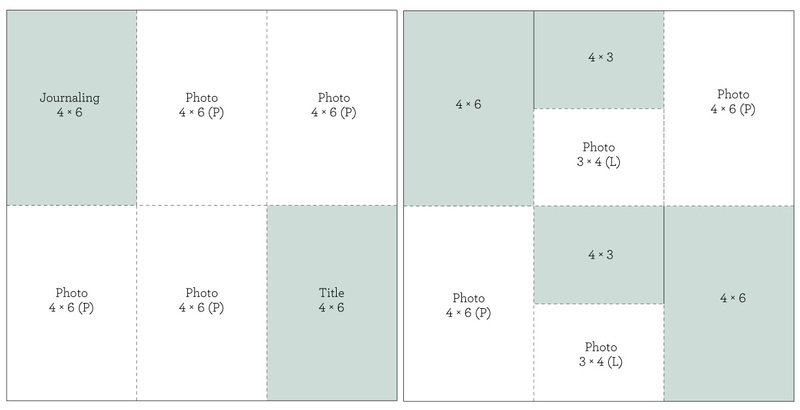 If you aren’t quite sure how many photos to use, consider the 50-50 rule where you fill 50% of your pockets with photos and the other 50% with patterned papers or pre-made pocket cards—ensuring a well-balanced page and layout. 2. Start with a color scheme. This approach is very similar to the first, only the color scheme comes first and then the photos. When you have an album that you are wanting to add on to, the color scheme is often predetermined by what’s come before. In this example, we chose our colors first, then came up with the photos, and polished off the layout with some sequins as our accessory. If you don’t have enough, or any, photos that you’d like to use to match your color scheme, manipulate the colors in the photo. If you’re not savvy with photo editing software or want to keep things simple, print your photos in black and white. This third method is for the storyteller. You start out with a memory or story and then find photos that accompany it. 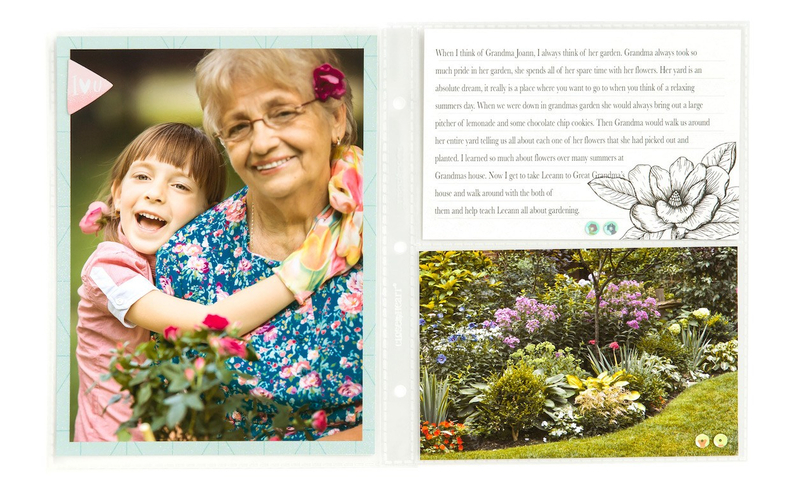 In this example, the story is about Grandma Joann and her garden. The reminiscence and words came first, then the photos, and lastly the embellishing accessories. If a 12″ x 12″ album is too big to fit on your shelf, there’s also the 6″ x 8″, Everyday Life™, option. 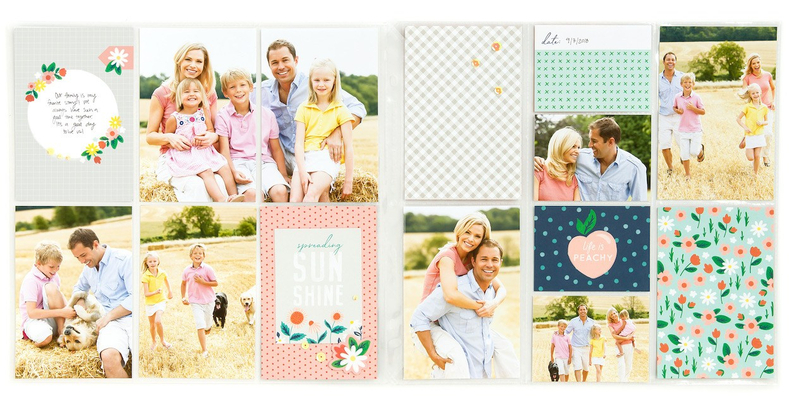 All of the ideas that we’re sharing today translate into any size of pocket scrapbooking. 4. Start with an event. Our last approach is to begin with an event, like a birthday party, vacation, holiday, family gathering, etc. Think about the story behind it and develop it. This is where the 5 W’s (who, what, where, when, why) come in handy. As you develop the story, write it down and choose photos that support it. Finally, add an accessory for embellishment. 5. Come up with a pattern. Flip a pattern, turn it on its side, switch the order of the pages—if you have the Memory Protectors™ to support your pocket idea, then go for it! One of the great things about pocket scrapbooking is that you can change the contents of the pockets around however many times you need to, making it a lot more forgiving than traditional scrapbooking. All you need to be a successful pocket scrapper are the pocket Memory Protectors™, pre-made pocket cards, your photos, and a plan. 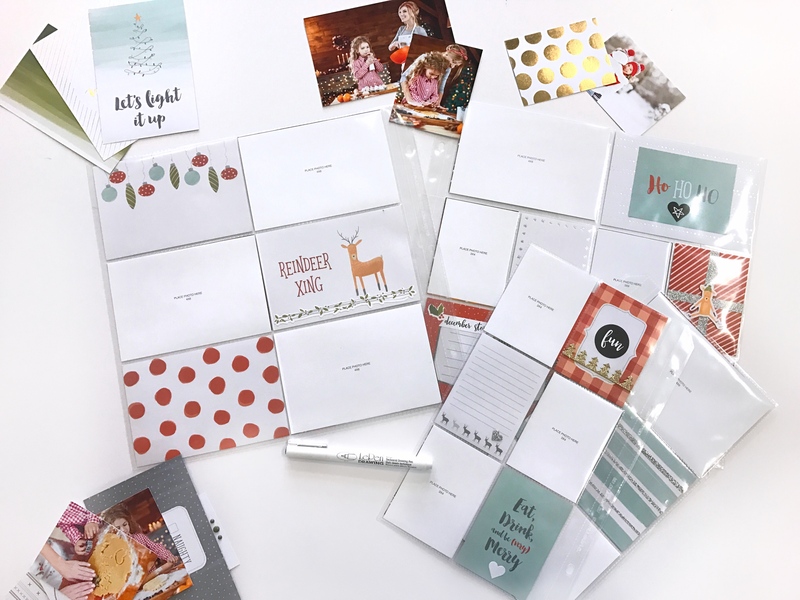 Pair any of the ideas that we’ve shared with you today with our Picture My Life™ pocket cards and get caught up on your scrapbooking in a fast, simple, easy, AND trendy way! **All of our Picture My Life™ pocket cards are 35% off, now and through the end of the month. It’s a great time to stock up! The holidays are one of the busiest times of the year. Between the shopping, the parties, and the baking, it can feel impossible to find time for memory keeping! 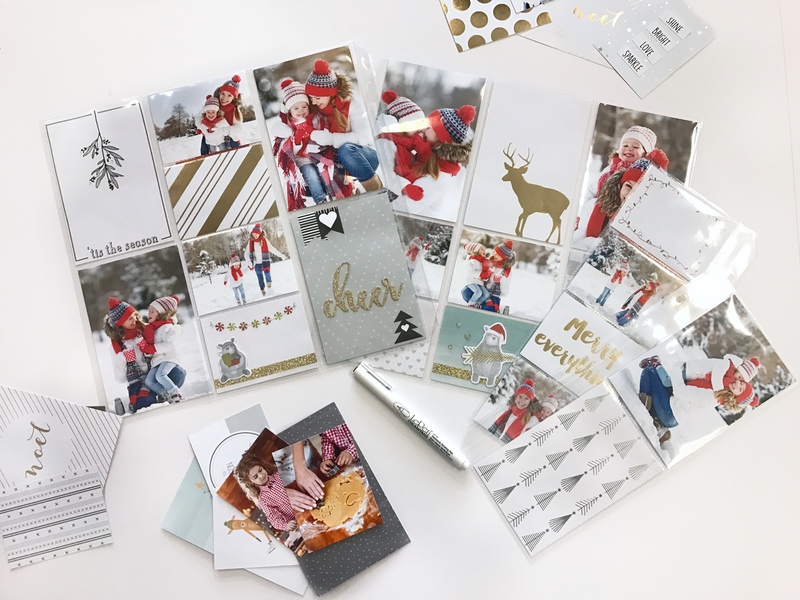 Pocket scrapbooking is a convenient solution for staying ahead during the season while still creating beautiful pages for your holiday album. 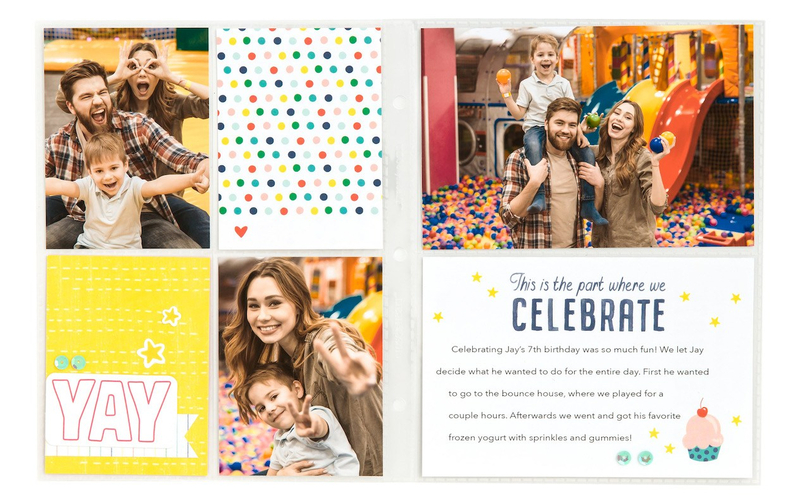 With pocket scrapbooking, you can use Picture My Life™ cards and simple embellishments to quickly create your layouts. On the layout above, we added a little gold shimmer trim and a few gold glitter gems to give it some extra sparkle. A good rule of thumb with pocket scrapbooking is to try to have an equal number of photos and cards on your layout. This helps each page look balanced and complete. 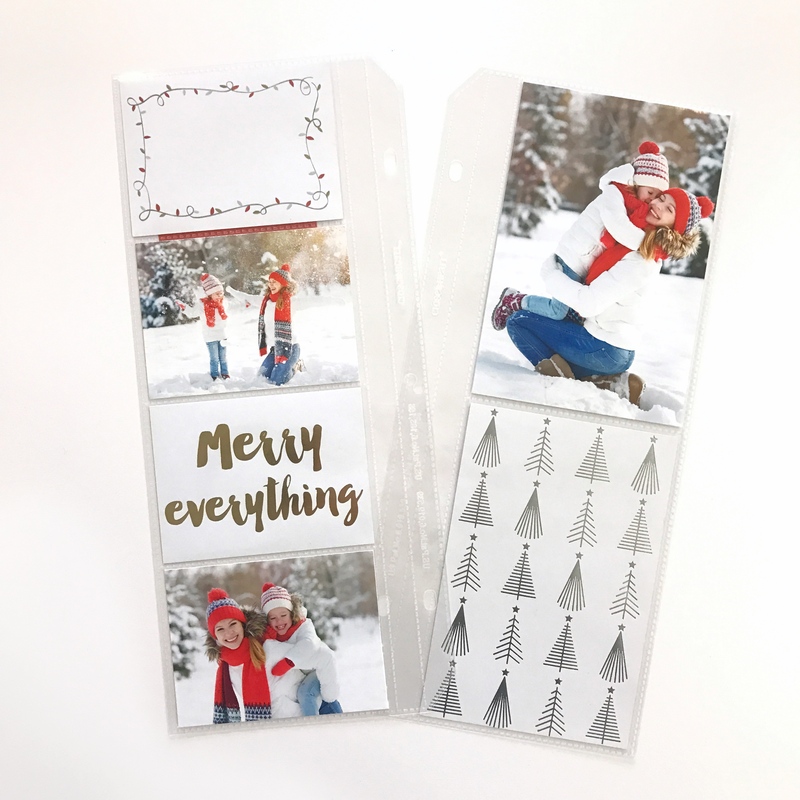 Because of the way pocket scrapbooking works, you can make some of your Christmas layouts ahead of time, before your photos are even taken! We know, it might sound crazy, but with pocket scrapbooking it makes perfect sense! Line up your cards the way you like them and leave the photo pockets empty—or, if it helps to see where to put your photos as you create, use cardstock as a photo placeholder. If you really like the idea of planning ahead, take it to the next level! 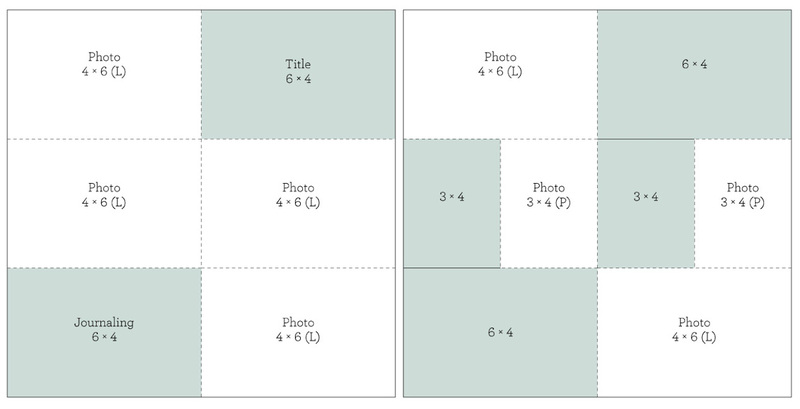 Instead of just leaving blanks for the photos you will take, use sticky notes to add short reminders about what kind of photos you want to take to add to the layouts. 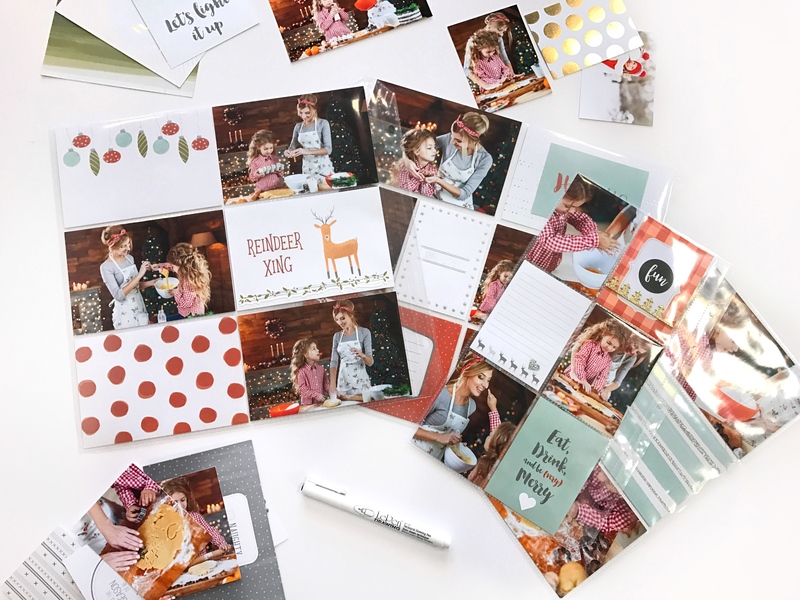 That way you can have a plan for your scrapbook, have the pages ready to go, but then wait to print your photos after the holiday season when life is a little less hectic. Then, all you have to do is slip those printed photos into your Memory Protectors™. Take the same approach with your journaling. You’ll notice that none of these layouts have the journaling yet. If you’re crunched for time, jot down some of the important parts on a sticky note. What do you like about your holiday traditions? What food did you eat? What is special about that moment? You don’t have to write down the entire story, just highlights to jog your memory. That will make it easier to add words to a journaling pocket card when you have time to come back to it. 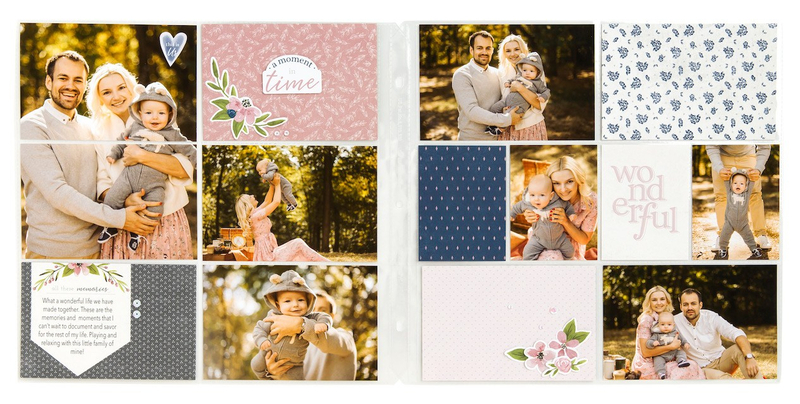 The best part of this is that if you make your pocket scrapbook layouts ahead of time and then your photos don’t fit on your pages, you can easily adjust your design! 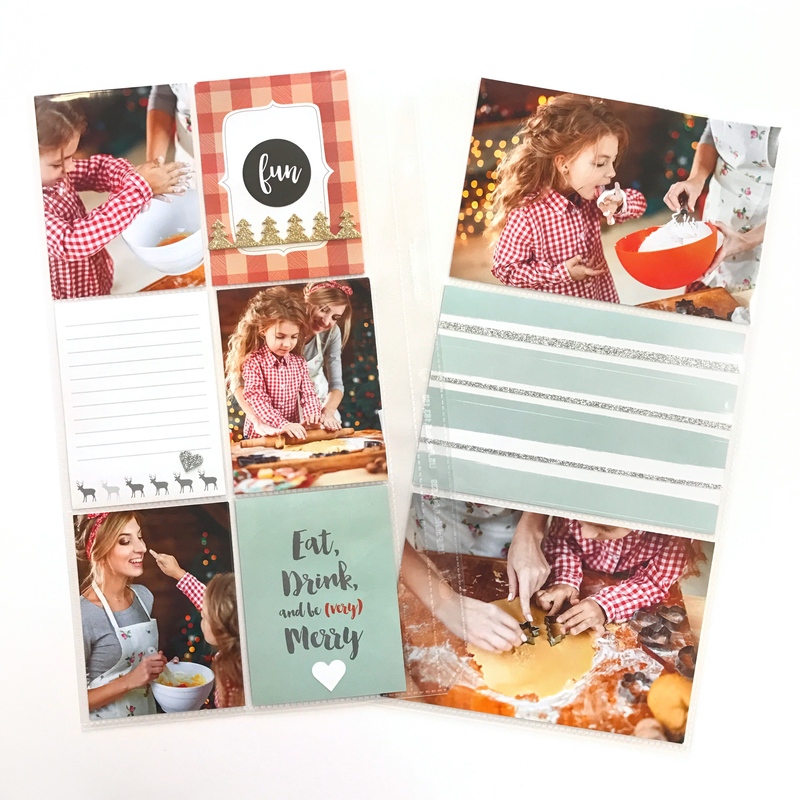 That’s one of the things we love about this scrapbooking format: It’s easy to mix, match, and move photos and pocket cards to fit your story, even as it happens! And, if you need some extra room for all of those photos you will be taking, simply add Pocket Plus™ Memory Protectors™. With Pocket Plus you get that extra space for photos and journaling without having to add an entire layout. It also adds a fun, interactive element to your pages. 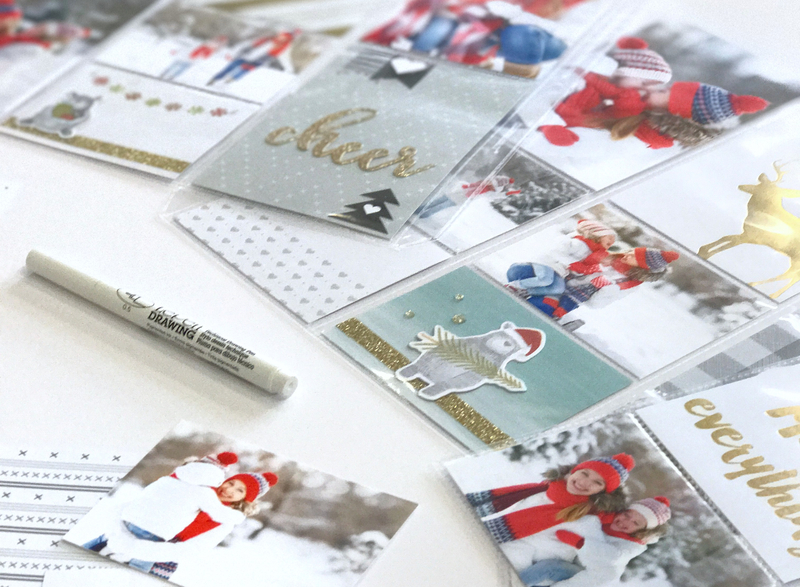 As you celebrate this season, use the ideas we shared today to stay ahead of holiday memories, and don’t forget to keep these pocket scrapbooking tips in mind for any time life gets busy. Memory-making never stops. 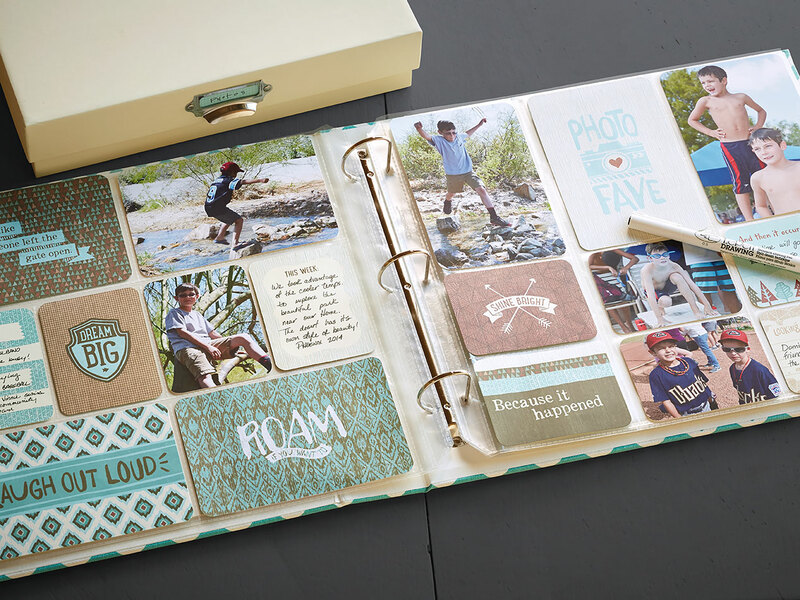 Preserve those memories as they happen with pocket scrapbooking.